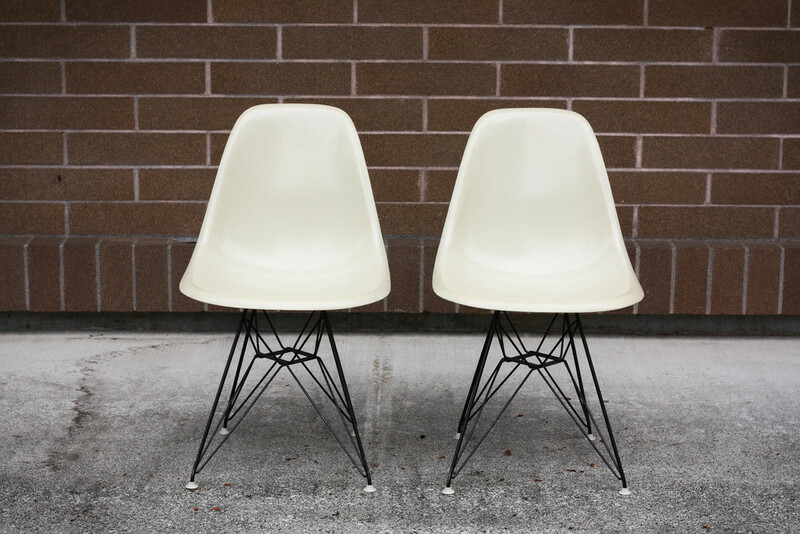 Extremely nice original, early generation Eames DSR fiberglass chairs with original ‘Eiffel Tower’ wire bases made for the Herman Miller company. The fiberglass shell is in very good shape, with no chips, cracks, or chunks taken out of the shell. The bases are in great condition with expected patina to the finish. Nothing major, especially for a 50 year old chair. 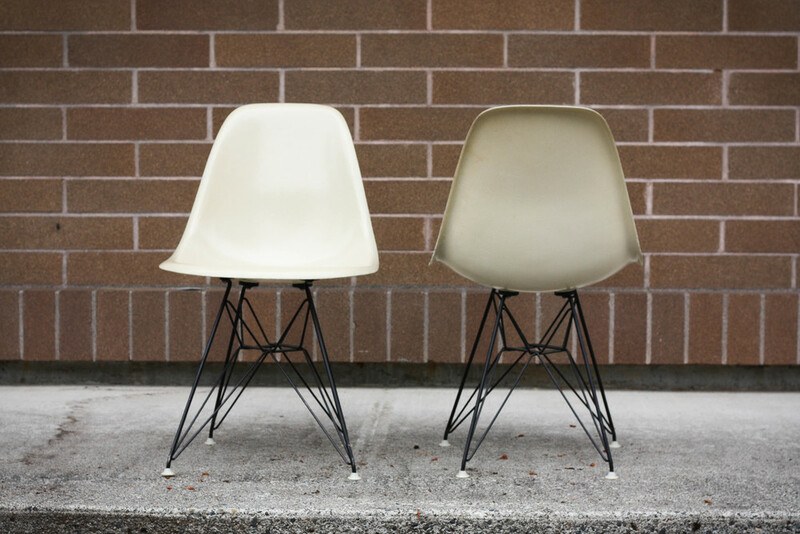 Herman Miller Logo stamped on bottom of both chairs.